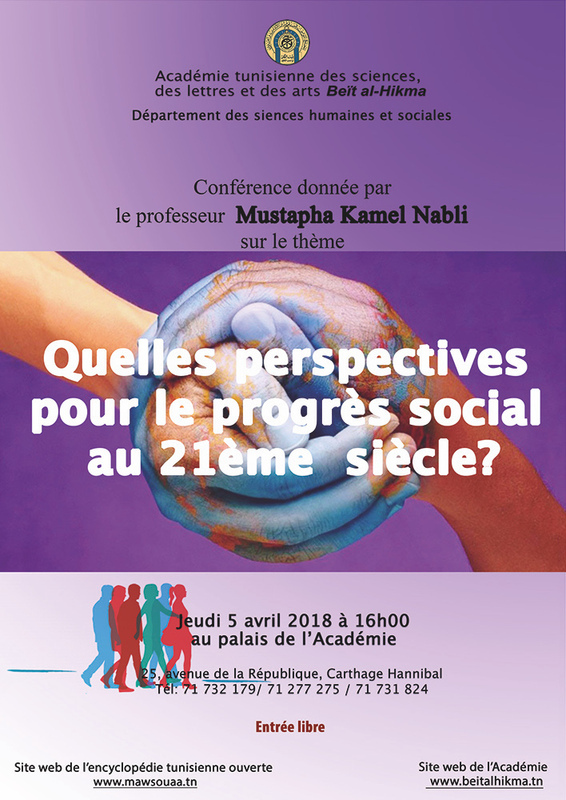 On Thursday, April 5, Mustapha Nabli will present the work of the IPSP at a talk hosted by the Department of Social Sciences at the Tunisian Academy of Sciences, Letters, and Arts. Professor Nabli is a Lead Author of Chapter 6 of the IPSP report. The talk will address the hopes and some of the challenges of social progress in the 21st century. For more information, see the announcement on the Academy website here.